Derby County are closing in on a deal to sign out-of-favour Aston Villa forward Andreas Weimann, and are also keen on Reading defender Alex Pearce, BBC Radio Derby reports. 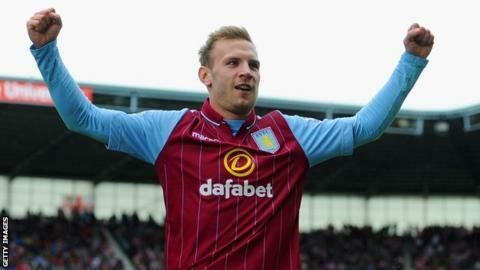 Weimann, 23, played 35 games last term and still has a year on his Villa deal. But the Austrian was not a first choice for manager Tim Sherwood and only made two appearances after playing against Swansea on 21 March. Pearce, 26, played 51 times for Reading last season but is out of contract. Both players were targets for the Rams before Paul Clement was appointed as manager, but chief executive Sam Rush has said Clement will have the final say on any signings.